Podcasting has grown from a little-known and misunderstood form of content to an incredibly powerful content type that builds trust and loyalty. Podcasters and comedians like Marc Maron and Joe Rogan have helped grow the popularity of podcasts and now, there are podcasts anything and everything. From a business point of view, podcasting can be an incredible marketing tool. It might not work for every type of business, but for those that it does work, it can yield great results: a new audience, more trust and loyalty and even more clients and sales. In this article, I’m going to talk about business podcasting and why and how to get started with it. Why consider podcasting for business? Podcasts are essentially an enhanced form of content: they’re more engaging than written articles, they (can be) evergreen and most of all, they offer a lot of value to the listener. As I mentioned earlier, podcasts have massively grown in popularity in just a few short years; they started out as a misunderstood form of content (radio show, but not really a radio show) but now, not only is podcasting growing in popularity at a very fast rate, but it’s also driving loyalty. Around 80% of podcast listeners listen to all or most of each podcast episode and they listen to an average of seven shows per week. Attract a new audience: A great podcast will help you get discovered by people all over the world through the iTunes Store and other podcasting libraries and services. Build loyalty: As we’ve seen earlier, if you can get people to listen and love your podcast, then you’ve got a loyal fan that will listen to all (or most) of your episodes. Built trust: Podcasts can offer a lot of value to the listener. They can include useful tips and insights, interviews with people they know and admire, etc. Offering real value is ultimately one of the best tools you have as a business for building up trust in your brand. 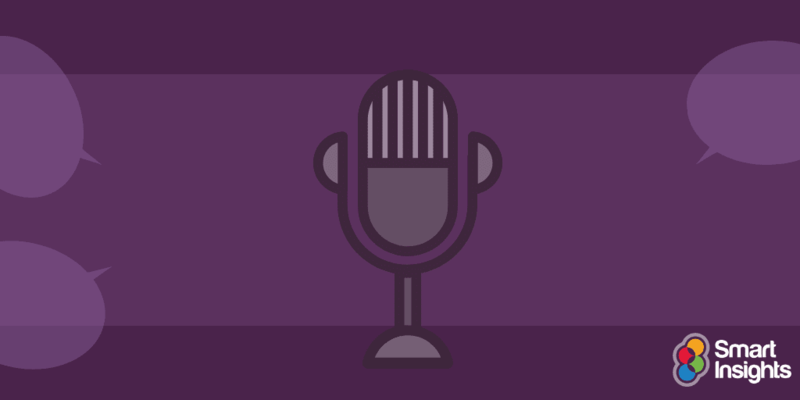 Attract customers for your business: One of the biggest reasons why businesses should consider business podcasting is that it can be an amazing client-magnet. A successful podcast that proves your knowledge and skills can help attract clients to you; for example, Ken Greene, the owner of a financial and insurance firm started a podcast – Engineer for Finance – and claims that almost within the first few episodes he’s started attracting inquiries from prospective clients. In fact, he claims it’s "one of the best things I’ve done marketing wise". Business podcasting: who is it for? 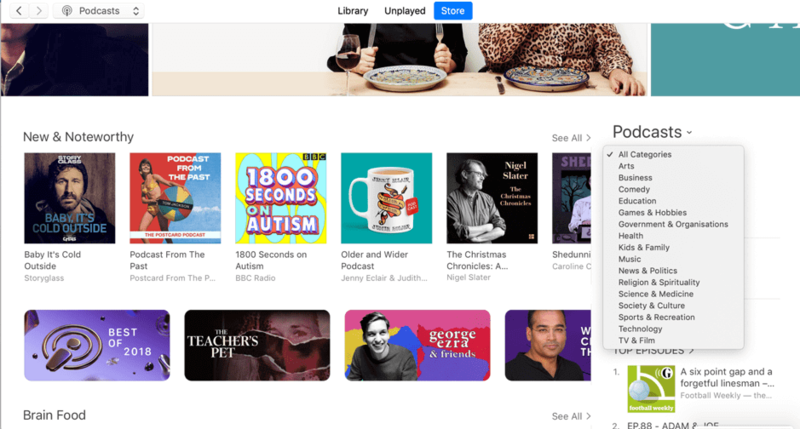 If you spend even a few minutes browsing through the iTunes Podcast Store – or any other similar service – you’ll immediately notice that there are podcasts about everything: fictional podcasts, comedy podcasts, parenting, podcasts for kids, business podcasts and so many more. Podcast marketing can work for a variety of businesses – usually, as an educational tool for their target market. For example, if you sell marketing software as a B2B business, you can create a marketing podcast teaching your audience how to perform certain marketing tactics, or discussing marketing tactics with relevant thought leaders and influencers. If you have a finance firm like Ken Greene from earlier, you can use podcasting to provide tips on how to save money, how to invest your money and so on. If you have a cupcake business, then you can use podcasting to share awesome recipes and discuss cooking and baking techniques. Basically, for almost any industry, there is a way to leverage podcast marketing and use podcasting as a way to build trust, loyalty, reach a new audience and grow your sales and business. So, how can you too get started? Who exactly do you want to reach with your podcast? Who forms your ideal podcast listenership audience? In order to be successful at podcasting, you need to be consistent in terms of quality, frequency and overall format. Choose your podcast length: How long do you want your podcast to be? While this can vary a bit on an episode-by-episode basis, it helps to establish a target length from the start; your podcast can last from anywhere from a few minutes (10-15 minutes) to hours (Joe Rogan, for example, has some podcast episodes that last for as long as 4 hours). Choose your publishing frequency: This is where it’s most important to be consistent. You need to not only choose how frequently you want to publish new episodes but also the exact days and times that you’re going to publish. This way, your fans will know exactly when to expect the next episode. Choose the right format: Your podcast can take on a bunch of different formats along its course (for example, most episodes could be the CEO talking alone and sharing tips and tricks they’ve learned, but occasionally also feature interviews) but generally, you need to establish exactly what type of podcast you’re planning to create: interview podcast, podcasts with two (or more) co-hosts, podcasts with a single host. You can also choose to have both audio and video podcast. Microphones: Pro microphones are a must if you want people to clearly hear you (and your co-hosts/interviewees too); consider your format and invest in an appropriate number of microphones. For example, the Road Procaster or the Samsung Q2U. Another important aspect is your podcasts’ artwork – this needs to catch people’s attention and showcase what your podcast is about. To create your own artwork, you can easily do so with content creation tools like Canva. Podcast marketing can be a great way to reach a wider audience and build trust in a way that few other forms of content can achieve. Plus, it doesn’t require a huge investment from your part – except for some equipment, you only need to invest your time in producing podcasts on a regular basis.